MINNEAPOLIS (10/11/18) – The Minneapolis Regional Chamber is pleased to announce the 2018 Minnesota Keystone Program honored companies. Nemer Fieger, Highland Bank and Walser Automotive Group were chosen for recognition due to their generous contributions to the community and their outstanding giving programs. Honored companies are selected each year from categories determined by business size. This year’s recipients were chosen from nearly 200 companies in the program, standing out for their unique giving programs and contributions. Serving as a model for other Minnesota businesses to follow, they will be honored at the 42nd annual Minnesota Keystone Luncheon. The 2018 Minnesota Keystone Luncheon keynote speaker will be Kevin Warren, chief operating officer of the Minnesota Vikings. Jason DeRusha, Emmy-award winning WCCO-TV anchor and magazine restaurant critic will serve as the emcee. 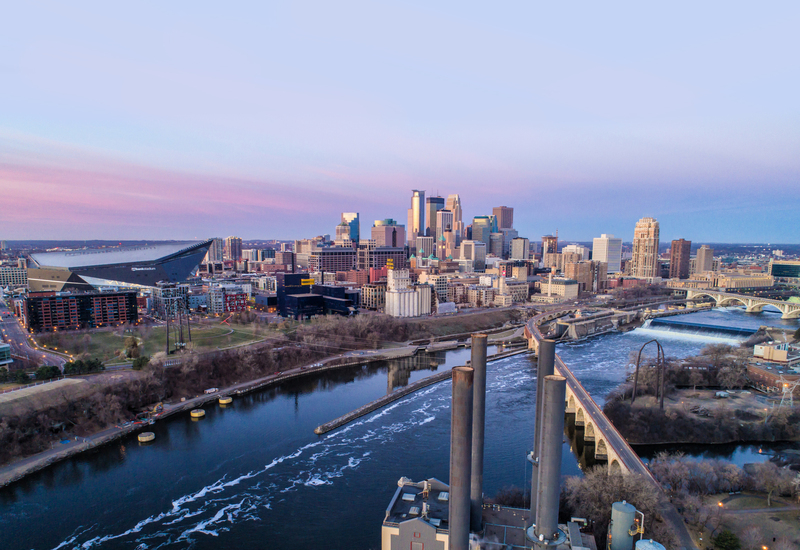 The Minnesota Keystone program, led by the Minneapolis Regional Chamber, encourages any Minnesota based company that gives at least two to five percent of their pre-tax earnings back to the community to join. The companies can give back through any combination of volunteer time, in-kind or cash donations. Nemer Fieger, recipient of the small business award, is a private, family-owned, full-service advertising and communications agency. Founded in 1957, their team of 25 experts represent clients in a variety of fields including entertainment, multi-unit retail, automotive and nonprofits. The team engages both during and outside of office hours with nonprofit organizations through volunteer time, board positions and fundraising efforts. Annually, Nemer Fieger provides more than 50 organizations with items, experiences, gift cards, service time, and more as live silent auction items. They also provide discount rates for nonprofit clients to ensure maximization of their resources to inspire engagement. Nemer Fieger is proud to be a creative hotbed for cause marketing initiatives, strong supporter, event producer and creator of relationships that allow nonprofit organizations to deepen their budgets and impact. They believe that by sharing stories, creating introductions, brainstorming opportunities and living these values, they are enabling others to more easily participate in making a difference every day. Highland Bank, recipient of the medium-sized business award, is an independent, family-owned, community bank that offers personal and business banking products and services. Founded in 1943, one of the bank’s missions is a commitment to the prosperity of its customers, local communities, employees and shareholders. Their Community Involvement Program (CIP) strengthens and supports local communities by empowering employees and community members. And while financial support and partnership with many local charities are a big part of what they do, volunteering also helps employees feel connected to the citizens they serve. Employees consistently log hours at local charities and nonprofits as well as attending fundraising events as a show of support, to bring awareness and to build momentum. Their corporate giving aims to highlight programs that prioritize and grow commerce in communities, while also strengthening families and connecting neighbors. They believe that when we all work together, our collective impact on the lives of those around us is amplified. Walser Automotive Group, founded in 1956, is the recipient of the large business award. Their core values do the right thing, lead by example, display positive energy, and be open-minded inspire their employees to give back to the communities. Walser Automotive Group invests in the communities in which they live and work through charitable giving and volunteerism. Through the Walser Foundation, they provide grants to organizations that benefit education at all levels, as well as organizations that help build a strong future workforce. Their mission is to increase access to high-quality programs in the Twin Cities community from pre-kindergarten through post-secondary school. Walser Automotive Group also sponsors a variety of nonprofit events and fundraisers across the region including the MS Walk, the MN Special Olympics Polar Plunge, and the MN Teen and Adult Challenge’s Annual Gala. Walser Automotive Group also offers a high school scholarship program, donations to auctions benefitting nonprofits, and partners with organizations to collect donations to support those in their communities. Through their efforts, they hope to inspire others in the industry to give back to and engage with their communities. 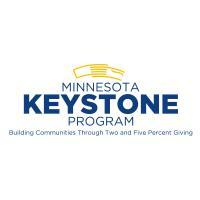 The Minnesota Keystone Program, administered by the Minneapolis Regional Chamber, promotes corporate philanthropy by recognizing and honoring companies that donate at least 2 percent of their pre-tax earnings to charitable organizations. In 1976, 23 Minnesota companies created this program (originally known as 'The 5% Club') to recognize and encourage charitable giving in the state. The commitment of Minnesota Keystone participants continues to serve as an example to other businesses, both here and around the globe, and to sustain Minnesota’s spirit of generosity and sense of community. Qualifying companies have an operating presence in Minnesota and donate cash or in-kind donations, including pro-bono services, and/or employee paid volunteer time. Xcel Energy is the presenting sponsor of the luncheon. BlueCross and BlueShield of Minnesota, RBC Wealth Management and Wells Fargo are year-long program sponsors. For a complete list of sponsors or for more information about the Minnesota Keystone Program, visit www.mplschamber.com/minnesota-keystone-program/.